Chicago, IL, March 13, 2018 — The U.S. Pavilion at the 16th International Architecture Exhibition of La Biennale di Venezia, commissioned by the School of the Art Institute of Chicago (SAIC) and The University of Chicago (UChicago), today announced new details about the exhibition Dimensions of Citizenship. The exhibition’s curators have commissioned seven architecture practices to explore how citizenship may be defined, constructed, enacted, contested, or expressed in the built environment at seven different spatial scales. Expanding from the body and city to the network and the heavens, the seven installations raise questions about issues including belonging, sovereignty, and ecology. Dimensions of Citizenship begins at the scale of the citizen with the project Thrival Geographies (In My Mind I See a Line), which will consider how race shapes notions of identity, shelter, and public space in historically African-American communities. For their installation in the courtyard of the U.S. Pavilion, Williams (a recently named 2018 USA Ford Fellow) and Hernandez, who is an associate professor of art education at SAIC, will partner with Chicago-based artist Shani Crowe, whose intricate braided hair sculptures have been worn by celebrities such as Solange. While the specter of slavery and continued racial injustice will be at the core of the installation, the piece will ultimately strive for a possible architecture of freedom that might allow all citizens to thrive and participate in the democratic ideal. Memphis Landing, from Stone Stories, Studio Gang. Courtsey of Studio Gang. Led by 2011 MacArthur Fellow Jeanne Gang, Studio Gang uses design as a medium to help strengthen communities. Stone Stories builds on the Studio's ongoing work in Memphis, Tennessee, to investigate how redesigning cities' public space can be an exercise of citizenship and empowerment. Inspired by Memphis's recent removal of two Confederate statues, Stone Stories offers an inclusive urban vision for Cobblestone Landing, an overlooked yet historically important site along the Mississippi River. 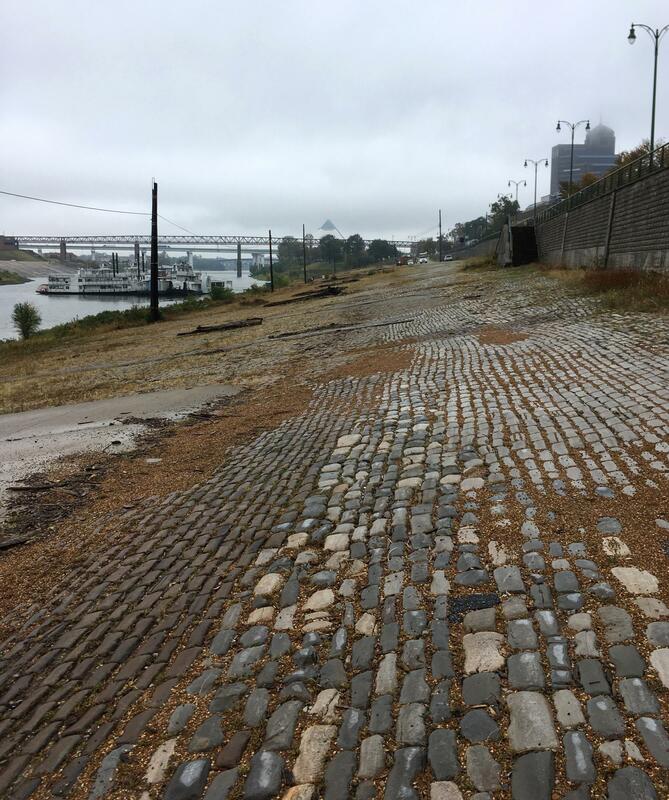 Hundreds of Memphis cobblestones will be shipped to Venice and used as a platform to share the stories of Memphians past and present, offering visitors a visceral and material interaction with a distant public space and the citizens who are actively building its shared urban future. SCAPE, under the leadership of 2017 MacArthur Fellow Kate Orff, will demonstrate that landscape architecture can be a critical tool for re-envisioning the response of citizens to climate change. SCAPE’s project, Ecological Citizens, understands the region as an area defined by the shifting relationships of ecology, infrastructure, and climate. It takes the Venetian Lagoon as a globally significant case study of a tidal region under ecological threat. Partnering with Università di Bologna and the Italian Institute of Marine Sciences, SCAPE will present possible solutions or interventions to aid the environmentally sensitive La Certosa island in the lagoon. Estudio Teddy Cruz + Fonna Forman challenges the way we think about national boundaries. Their project, MEXUS: A Geography of Interdependence, reveals a transnational zone comprised of eight watershed systems shared by Mexico and the United States. MEXUS provokes us to rethink citizenship beyond the limits of the nation, mobilizing a more inclusive, interdependent idea based on co-existence, shared assets, and cooperative opportunities between divided communities. Cruz is the winner of the 2018 Vilcek Prize in Architecture, which is presented to immigrants who are champions of the arts and sciences. When we zoom out to the scale of the globe, the primacy of the individual, the city, and even the nation drops away and is replaced by data: electricity, trade routes, migratory shifts, and the flow of capital, goods, and people. In Plain Sight-a collaboration among Diller Scofidio + Renfro, Laura Kurgan, and Robert Gerard Pietrusko with Columbia Center for Spatial Research-uses data drawn from images created by the Soumi National Polar-orbiting Partnership satellite to visualize where people live on earth. Two contrasting NASA images of the Earth taken at 1:30 pm and 1:30 am show us the gaps in the network: the places with many people and no lights, and those with bright lights and no people. This information maps out a political geography of belonging and exclusion. Keller Easterling’s writings and projects regularly investigate the emergent territory where the state meets the digital network. With MANY, an online platform designed to facilitate migration through an exchange of needs, Easterling and team propose that we use the network to rethink possibly outdated notions of citizenship. With a nod to the pervasive and familiar share economies that define online life, MANY envisions a global form of matchmaking between the sidelined talents of migrating populations and the multitude of opportunities around the world. Favoring cosmopolitan mobility over national identity, MANY looks to short-term visas as a tool to foster an exchange of needs. Planetary Ark [1/3] (All Aboard) the Architekton (2018), Design Earth. The space above Earth, as a site of existing human occupation and potential belonging, has become a territory that both captures the imagination and serves as a theater for existing conflicts or conditions. 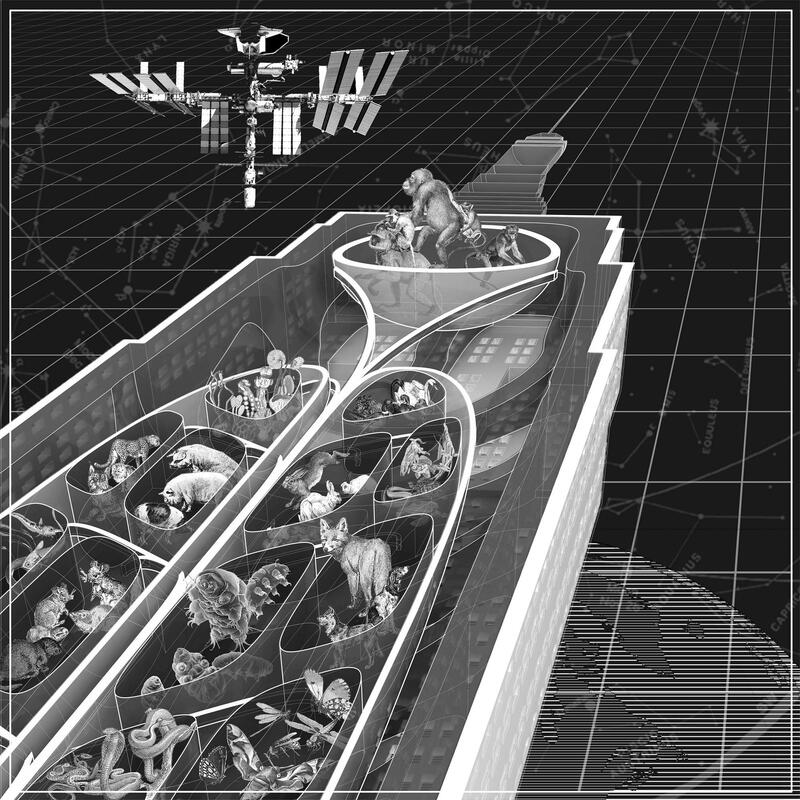 In looking to the cosmos, Design Earth’s speculative designs suggest possible off-world architectural responses. Design Earth’s El Hadi Jazairy and Rania Ghosn (recipient of the 2017 Boghossian Foundation Prize) present three “geo-stories,” which speculate on the legal geography of citizenship when extended to “the province of all mankind.” Together the stories in Cosmorama—Mining the Sky, Planetary Ark, and Pacific Cemetery—ask how we should reckon with the epic and frontier narratives that have fueled space exploration, at a time when prospects of instability and extinction have become normal on Earth. The University of Chicago (UChicago) is a leading academic and research institution that has driven new ways of thinking since its founding in 1890. As an intellectual destination, the University draws scholars and students from around the world to its home in Hyde Park and campuses around the globe. The University provides a distinctive educational experience, empowering individuals to challenge conventional thinking and pursue research that produces new understanding and breakthroughs with global impact. At the University, UChicago Arts, which includes nearly 100 arts organizations, initiatives, and academic programs, brings together the efforts of students, faculty, artists, and community partners to infuse creativity throughout the intellectual life on campus while solidifying the University’s role as a cultural destination and resource on Chicago’s South Side. The U.S. Pavilion at the Biennale Architettura 2018 was built in 1930 and designed by architects William Adams Delano and Chester Holmes Aldrich. The Solomon R. Guggenheim Foundation acquired the U.S. Pavilion in 1986 and now manages it through the Peggy Guggenheim Collection, Venice, with the support of the Bureau of Educational and Cultural Affairs for the U.S. Department of State. ECA also closely collaborates with the U.S. Embassy in Rome, which has long supported the Venice Biennale and has maintained a strong interest in this important opportunity to showcase innovative American architects and artists. For more information: it.usembassy.gov. The U.S. Pavilion exhibition and graphic designer is IN-FO.CO. The editorial partner is e-flux and the media sponsor is Architectural Record.